As a kid, watching The Wizard of Oz seemed like a big deal. The 1939 film was appointment viewing when it would come on TV, and pretty damn epic. I must have seen it a hundred times. It's the end of an era, as the last surviving munchkin has died. Jerry Maren, who portrayed a member of the Lollipop Guild, was 98 years old. Maren was eighteen years old when he shot his scenes for The Wizard of Oz in the latter part of 1938 and early 1939. Wow! Wasn't aware that any of the Munchkins were even still alive prior to this sad posting. makes me chuckle somewhat. RIP. 1. Could be an urban myth from the interwebs, but I read somewhere that Toto's day rate was higher than the munchkins. 2. 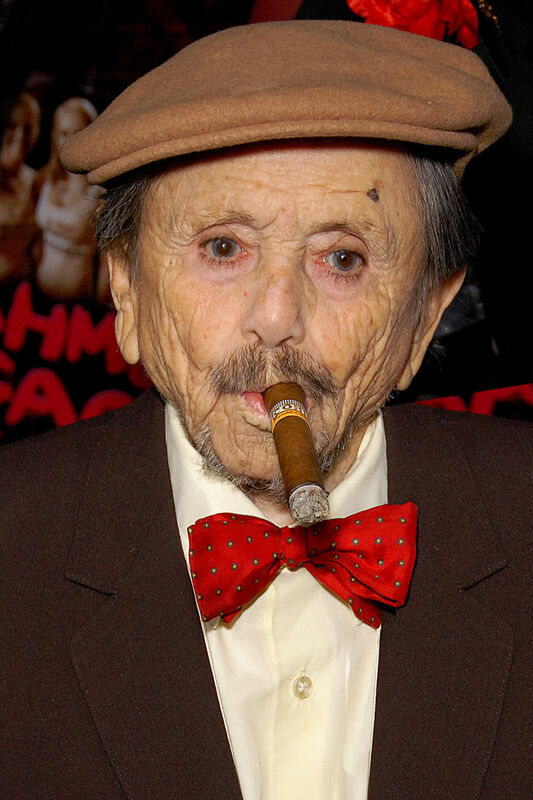 Given he lived to 98, I gotta start smokin' me some cigars and wearin' some red bow ties. 3. It's true, there were dwarf orgies during production. 4. 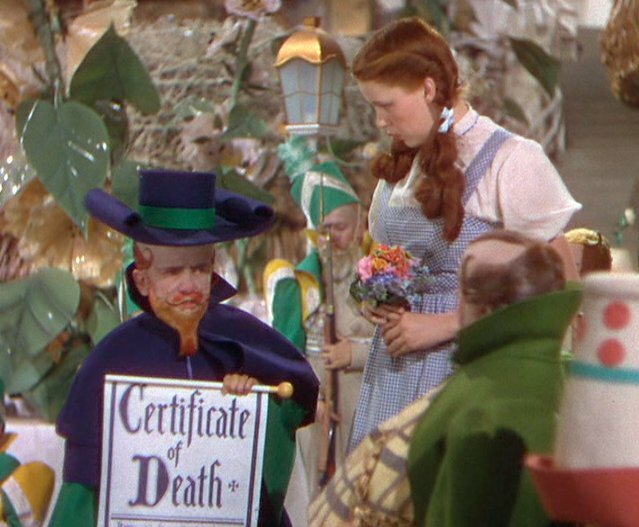 I'm curious how drugged up Judy Garland was during this scene. They plied her and Mickey with pep pills to keep the 'ol money train moving.